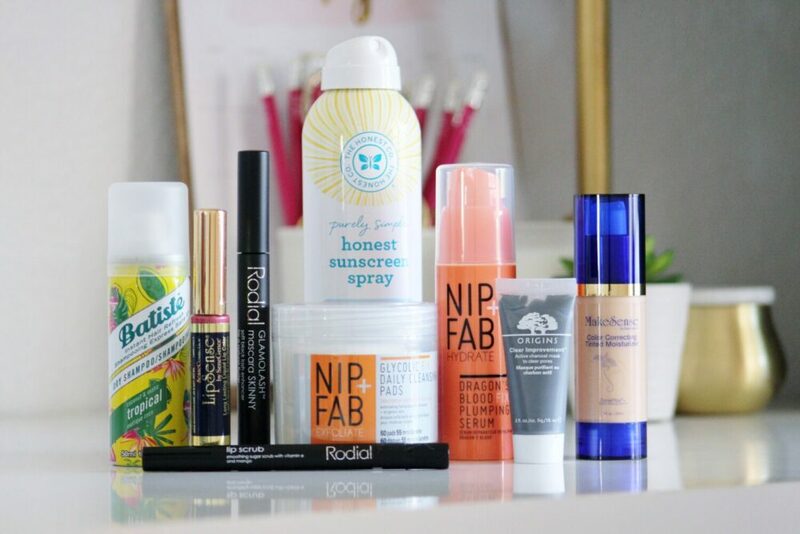 This post is sponsored in kind by @rodialskincare and @nipandfab but all opinions of products are my own. As you may have seen, I started selling Lipsense and it has been so much fun sharing my favorite colors and combos! But, I have had a ton of other questions related to skin, hair and beauty products so I decided to share with you of few of my favorites. Let’s get started! This has become a staple in our family since having Ryker. That little peanut definitely got fair skin from daddy and it’s important to me to protect him from the Arizona sun! I will admit, I am not great at remembering to use sunscreen myself. Example: Two weekends ago, Cameron took me to a resort for our anniversary. He lathered himself in sunscreen and tried to stay in the shade for a good part of the day but I was in the sun for almost 6 hours, got pink on my legs and was brown the next day. That doesn’t mean I shouldn’t wear sunscreen so I am trying to do better at remembering! You can grab Honest products at Target, Sprouts, local health stores or order online. Y’all know I have a lot of hair and let me tell you, it does not get washed every day. I usually wash my hair 2-3 times a week and plan it around days that I workout. In between, I’m addicted to dry shampoo. I’ve used lots of different kinds and was satisfied with them but after getting some suggestions from some trusted friends, I love Batiste! I have full sized ones at my house but I also love carry on sizes; perfect for running around town. Tropical is my favorite smell, mmmm… coconut! This is a new product I’ve been trying out recently. 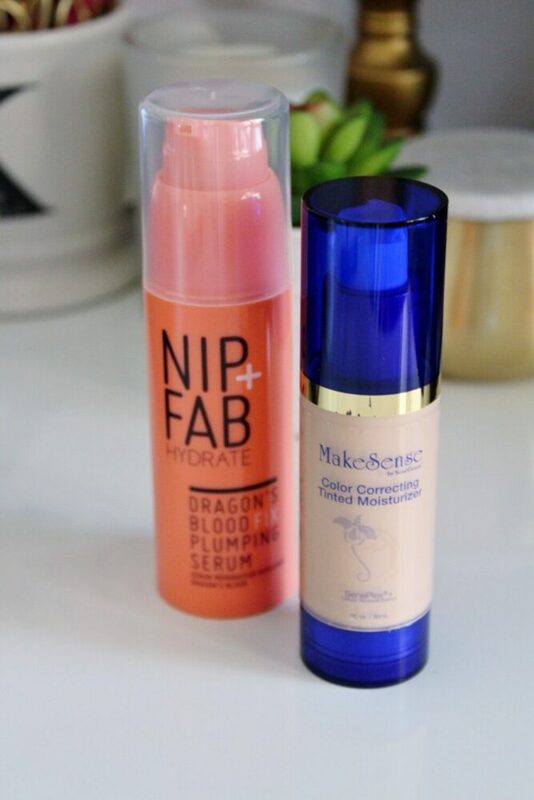 The desert heat does a number on my skin and I am always hunting down formulas to stay hydrated. This serum helps your skin look plumper and reduce lines and wrinkles. 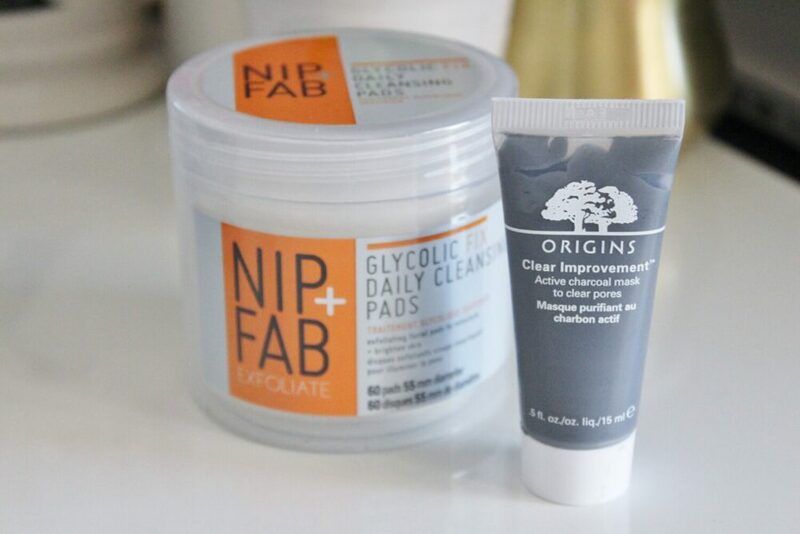 Nip + Fab is a premium skincare line at an affordable price. You can find it Ulta. I have tried this treatment in the morning and at night and it gives me a little boost that helps my face feel firmer. Hydrated skin equals healthy skin! I am sticking to this! After joining the amazing team of women behind Senegence I have fallen even more in love with this company and their products! My friend introduced me to this Color Correcting Tinted Moisturizer and basically swore that I would love it. No spoiler alert here… I DID! I seriously just wish I could give one away to everyone to try because not only does this product color match to your skin but it heals your skin and reduces redness. I have been wearing my every single day since I got it and I’m still obsessed. As I tan this summer I don’t have to change out my makeup or worry about it not matching my skin tone. If you want to try some out, you can order from me here. There is nothing better than spending a little time pampering yourself and one of my favorite ways is sugar scrubs. But sometimes I want a good on the go, mess free sugar scrub! 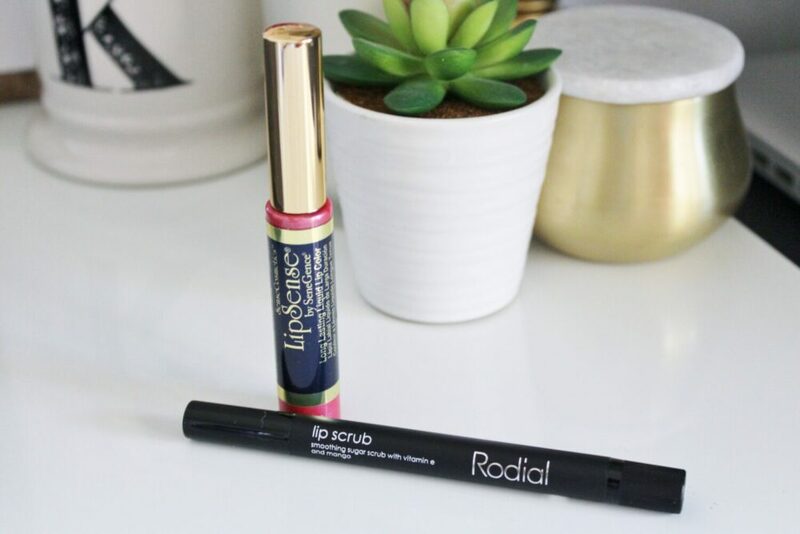 Rodial’s Lip Scrub looks like a pen that I can just pop into my purse (okay diaper bag) and carry with me anytime. It’s also great for traveling or little stay-cations, like our anniversary trip. This one is made with vitamin e and mango so it smells like a little vacation all by itself. I love these individual pads because they gently exfoliate your skin without leaving you feeling raw or dried out. They add in moisture and sooth your skin. I also really loved the smell of blue daisy; just like summer! You get 60 in a container so it’s a great bang for your buck! This mask was sent to me in my Influenster box and after trying it out on my nose and t-zone I was super impressed. Not only did my pores look smaller, my skin was a lot smoother too! I have been using it once a week now for a while and definitely see less black heads in my problem areas.